The regularly scheduled 4-hour Saturday tour begins at Cascades Park in Tallahassee and ends at Wakulla Springs State Park, 8 a.m. - 12 noon. CALL TO SCHEDULE CUSTOMIZED TOUR FOR GROUPS OF 6 OR MORE. Click on your preferred date for registration. Student Rate - Use school email address when registering for tour. Perfect for Students of all ages....Scout groups....Clubs....Senior groups... Additional tours can be scheduled most any day of the week and customized to fit the needs of your particular group (6 or more). Call us for details/scheduling, 850-926-3376 or 850-556-4249. Student Discount Available. Follow the amazing underground journey of precious ”blue gold” southward from Tallahassee to the mother lode of Wakulla Springs. Join Jim Stevenson, Florida springs expert, on our fascinating tour of the Wakulla Spring Basin which examines the sources and traces the water journey to the world famous Wakulla Springs. See the actual sinkholes hidden away in the woods where exploration cave divers enter one of the longest and deepest underwater cave systems in the world. Learn how this incredible connection of caves conducts groundwater through the Floridan Aquifer from Leon County south to Wakulla Spring. Learn what you can do to help save our precious Wakulla Springs! There are seven stopping sites of interest en route to Wakulla Springs including lakes, sinkholes and the wastewater treatment plant. We will observe land use activities that affect the quantity and quality of the water flowing to the spring and hear about steps taken during the past 20+ years to protect the precious Wakulla Springs. Experience the scenic basin area of Wakulla Springs and observe protection strategies against the enjoyable backdrop of local vegetation and wildlife. Jim will share his remarkable knowledge of education, stormwater management, wastewater management, land acquisition, land use planning, research, monitoring, and best management practices. 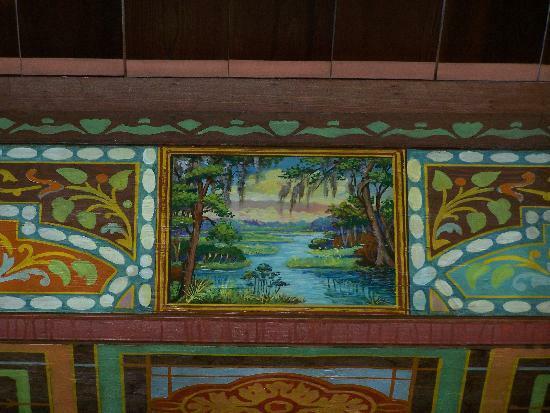 "SAVING WAKULLA SPRINGS" is a car caravan/walking tour. Tour departs from Cascades Park at 8:00 a.m. and ends at the tower overlooking the spring at 12:00 noon. Each tour is limited to 10 vehicles and carpools are strongly encouraged. (Some of the visit sites have very limited parking). 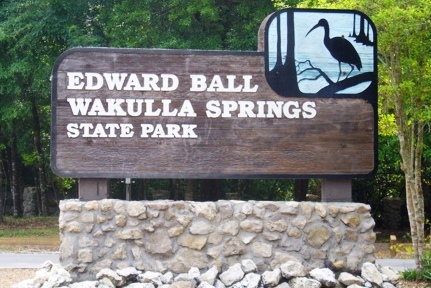 Tour covers the entrance fee to Wakulla Springs State Park. Additional options include lunch in the Lodge and a boat tour to observe the wildlife and ecology of the river. The majority of your tour fee will be donated to the*Friends of Wakulla Springs State Park, working toward protection of the spring. If you want to learn why the Floridan aquifer is considered “blue gold” and understand better the journey of water travel and its vital importance to you, "SAVING WAKULLA SPRINGS" is the ideal tour! $18 per person. A NOTE ABOUT OUR TOUR LEADER: Jim Stevenson was the chief naturalist of Florida’s state parks for 20 years, the former coordinator of the Wakulla Springs Basin Working Group, and former chairman of the Florida Springs Task Force. *Friends of Wakulla Springs State Park works to conserve, protect, restore and enhance the natural, historical, cultural and recreational resources of Wakulla Springs State Park for present and future generations. For additional questions or assistance with your tour registration, please call 850-926-3376.
certain to learn something new next time! Saw manatees from the dive tower at Wakulla Springs. What a great finish to the tour! knowledge tell an important story that you won't want to miss. I highly recommend this tour!